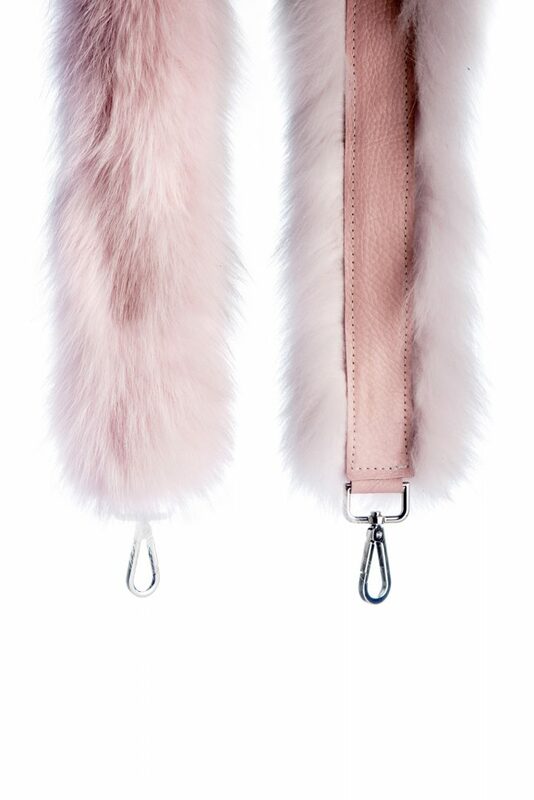 Baby pink fur shoulder strap. Detachable. 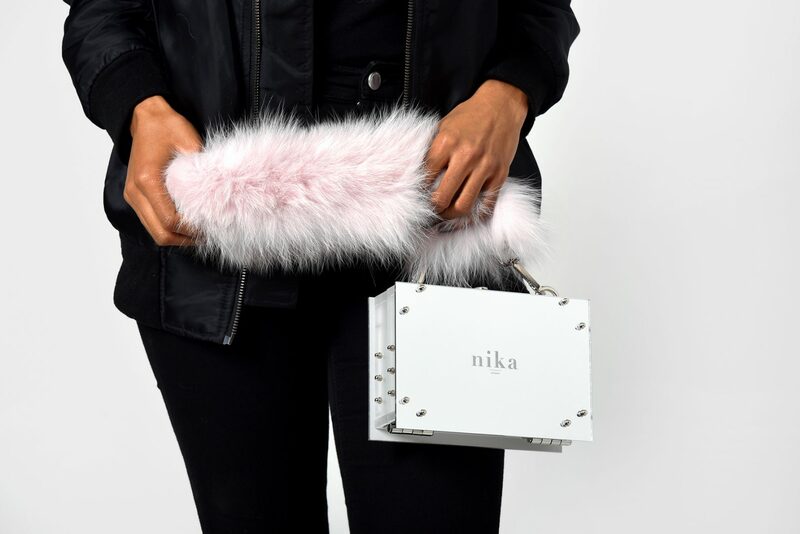 Features metal hardware. 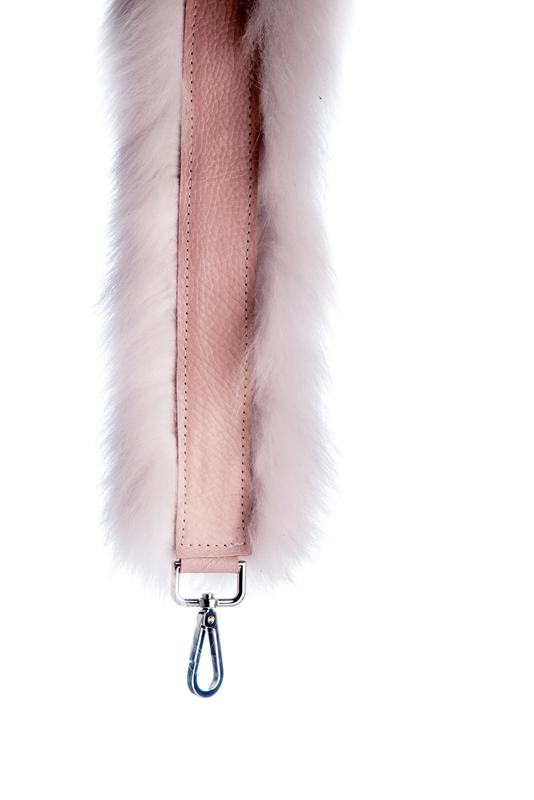 Real fur – pink leather sides.